The Best Childcare blogs from thousands of top Childcare blogs in our index using search and social metrics. Data will be refreshed once a week. 2.27 Giggles Drop In Childcare – The best childcare option in the childcare business! 2.70 Little Foxes Childcare/Preschool | A place for your child to grow! Childcare newsletter is a comprehensive summary of the day's most important blog posts and news articles from the best Childcare websites on the web, and delivered to your email inbox each morning. To subscribe, simply provide us with your email address. Toronto, ON About Blog HiMama is made up of a group of committed professionals, parents, daughters, sons, uncles and aunts who are working hard to build a product and a company that families and early childhood educators love. HiMama's Preschool & Child Care Blog includes leadership and advocacy, early learning and development, preschool activities, and parenting and management tips for the childcare / daycare industry. Facebook fans 120,265. Twitter followers 4,621. Perth, Western Australia About Blog Read blog for the best tips and information on Child Care. Cuddles Child Care Centre is a family owned business who endevour to provide your children with the safest, most loving and hygienic childcare environment in Australia while encouraging and promoting early development. Facebook fans 1,671. Twitter followers 15. Ontario, Canada About Blog Childventures Early Learning Academy offers a network of leading childcare centres for preschool & daycare in Vaughan, Richmond Hill, Ancaster, Thornhill & Burlington. Our children are offered the highest quality childcare services & instill in young minds the importance of moral values & character formation. Get the latest updates about Childventures by signing up for our blog. Facebook fans 3,792. Twitter followers 871. Orleans About Blog Kids Kingdom combines a premium family entertainment complex with a state-of-the-art childcare centre. Our goal is to be the number one destination for Ottawa families to play, learn, and grow. Parents agree that Kids Kingdom is the best Daycare in Ottawa, Orleans, Kanata, & Stittsville! Our incredible Indoor Playground offers hours of fun! Facebook fans 2,892. Twitter followers 288. About Blog Southern Solutions’ childcare courses have been creating passionate, driven, and enthusiastic childcare educators for many years. Southern Solutions motivates, educates, and empowers our students throughout their entire training. Read informative articles about education and learning at Southern Solution's child care courses blog. US About Blog UrbanSitter is a website that helps parents find babysitters through social connections. Facebook fans 43,270. Twitter followers 4,107. St. Paul, Minnesota About Blog The Nation’s Leading Expert on the Business of Family Child Care. Tom Copeland is here to assist family child care providers become more successful in their business. Family child care is a unique home-based business where children are cared for in the home of the provider. Facebook fans 8,995. Twitter followers 622. East Midlands About Blog Proven Resources and Strategies to Help Child Care Leaders Grow their Enrollment! How to Maximize Enrollments and Profits for Child Care Center Owners and Directors. Facebook fans 4,521. Twitter followers 484. North Olmsted About Blog Horizon Education Centers is a non-profit organization providing quality child care and educational programs for the families in Western Cuyahoga & Lorain County. Our mission is to provide affordable quality care and education programs for children in our communities, regardless of financial or special needs. Facebook fans 3,045. Twitter followers 198. About Blog Kiddie Academy is more than just daycare. Kiddie Academy provides child care, infant care, preschool, & pre-Kindergarten early education. Find one of our exceptional child development centers and preschools near you! Facebook fans 12,444. Twitter followers 573. South Africa About Blog Oxbridge Academy is an established private college offering distance learning courses to students in South Africa and abroad. Mission is to provide superior skills training and quality learning programmes through affordable courses designed to enable students to advance, succeed and achieve their true potential in their careers and professions. Facebook fans 77,572. Twitter followers 2,064. About Blog The Rainbow family is dedicated to ensuring the best educational practices that exceed our families’ highest expectations. Our schools provide a safe “home away from home” environment for the developmental growth of every child. We value every member of our team and provide continuing education to ensure professional and personal growth within our schools. Facebook fans 9,925. Twitter followers 310. Horsham, PA About Blog EZCare provides a complete software solution for managing any type of childcare or school-age program. It provides unique tools for information & financial management, scheduling & attendance, as well as a variety of integrated solutions for electronic, secure tuition payments. All these features work together to save you time and increase the efficiency and professionalism of your center. Facebook fans 616. Twitter followers 116. UK About Blog Parenta provide childcare qualifications and apprenticeships for early years providers, as well as management software, websites and fee collection. Over the years, we’ve worked with thousands of childcare providers; giving them the tools and support they need to focus on providing great childcare. Facebook fans 2,693. Twitter followers 2,631. About Blog Jana is a former teacher turned daycare provider who answers questions about how to start and run a home daycare. Thisblog is geared to helping other home daycare providers, as well as parents caring for young children. Includes tips and fresh ideas for frazzled parents. Facebook fans 1,064. Twitter followers 273. India About Blog St. Judes is well-established model which provide hygienic, protective, nurturing environment that gives the children the best chance of beating cancer. Know more about St. Judes India ChildCare Centres through our blog section. Facebook fans 3,496. Twitter followers 268. Toronto, On About Blog The Childcare Resource and Research Unit (CRRU) focuses on research and policy resources in the context of a high quality system of early childhood education and child care in Canada. Facebook fans n/a. Twitter followers 1,954. Connecticut, USA About Blog Educational Playcare offers high quality daycare, child care, education and activities for children ages 0-12. Child care centers throughout Connecticut. This blog is pleased to offer the latest news and tips for busy families everywhere. Facebook fans 2,294. Twitter followers 75. About Blog Welcome to Community Kids childcare & early education centres. With locations throughout Australia, we offer Long Day Care, BASC and Vacation Care near you! Atlanta Georgia About Blog QCC is the resource for GA parents, child care providers & community leaders seeking information, assistance & support in securing high quality early education. Facebook fans 2,091. Twitter followers 1,226. Sydney, New South Wales About Blog To provide children in our care with an educational, safe, healthy, caring, stimulating and family oriented environment, which reflects the warm nurturing and friendly atmosphere of home. Facebook fans 3,746. Twitter followers 58. About Blog Pro Eves provides End to end childcare and parental support to individuals and companies through a network of verified and flexible childcare service partners.It works with companies to create a gender diverse ecosystem and runs a community of moms. Facebook fans 9,110. Twitter followers 114. South Dublin & North Wicklow About Blog Welcome to Park Academy Childcare in Dublin and Wicklow, where every single thing we do begins with the same question: “What is best for your child?” Our professional staff team guides them to unfold their true potential. Facebook fans n/a. Twitter followers 102. About Blog Childcare Worldwide is dedicated to sharing the Gospel, providing hope, and developing the unlimited potential of poor children around the world. Read the latest news on our blog about our quest to help impoverished children in developing countries through gospel, hope, and heart. Facebook fans 3,787. Twitter followers 663. About Blog ChildCareInfo.com's mission is to bridge the gap of communication in the child care profession by enabling child care professionals, organizations and parents to interact with one another, building a cohesive knowledge base through information sharing and ultimately making that information easily accessible to the child care community as a whole. Facebook fans 2,039. Twitter followers n/a. Cambridge, MA About Blog Rock and Roll Daycare exists to light the fire of creativity and imagination in every child through an advanced music and arts program, international cultural education, and self directed learning. Find helpful and interesting content for parents of young children. Facebook fans 1,617. Twitter followers 6,932. 27. Giggles Drop In Childcare – The best childcare option in the childcare business! Wilmington, NC & Raleigh, NC About Blog Giggles Drop-In Childcare centers offer drop-in childcare services, after school care, track out/break options, summer camps and private birthday parties that are safe and fun! Our motto, "PLAY time for them, FREE time for you"! Facebook fans 2,754. Twitter followers 19. Reno, NV About Blog Local Child Care Marketing Help Child Care Leaders Build and Manage Their Web Presence. LCCM also provides online marketing services. We specializes in helping day care, child care and preschool leaders create and maintain their web presence. Facebook fans 2,020. Twitter followers 421. About Blog At All My Children, we believe that early childhood years are the most important in a child’s life. We are committed to the continuous customization of performance standards of early childhood development. Our mission at is to enrich the life’s of children by facilitating the opportunity to grow, learn, and play in a structured but fun loving environment. About Blog Andrea is committed to empowering and equipping childcare business owners with proven management solutions to systemize, organize and maximize their childcare business and their life. Mission to provide a general place for daycare owners to share topics, ideas, meet other owners, get tips, build enrollment and congratulate each other. Facebook fans 3,564. Twitter followers 284. About Blog Welcome to Jellybeans Child Care & Kindy. We offer childcare, long day care, early learning services and OSHC throughout Western Australia. Jellybeans is about family values, learning and play which are carefully balanced to produce a safe, positive and nurturing environment. At our purpose built centres, your children will begin their learning journey and develop lifelong friendships. Facebook fans 1,247. Twitter followers n/a. London, UK About Blog Square One Kids Academy is a state licensed, full-service child care and education facility for children from 6 weeks to 6 years of age. We strive to be the first solid foundation for your child’s physical, cognitive, emotional, and social development. This will aid in their long term success in education, personality development, and independence. Facebook fans 254. Twitter followers 1,041. London About Blog Parental Choice not only provides childcare search services, but also can take care of all the administration, including payroll, pension support and employment contracts. Follow our blog section and discover articles and news relevant to parents. We provide a one stop shop to help parents find the right childcare. Facebook fans 1,863. Twitter followers 2,960. Bundoora, Victoria, Australia About Blog Welcome to Pelican Childcare Early Education Centres. We offer childcare, day care and early learning services throughout the greater Melbourne area. We also offer high quality educational programs and facilities for long day care and kindergarten. Our mission is to give every child the opportunity to be their best in a stimulating secure and warm environment. About Blog Creative Childcare offers the very best of care in a fun and creative environment. Run by a qualified team of Educators, Creative Childcare is a place where children’s curiosity is inspired, their creativity fostered and sense of discovery nurtured. Our aim here at Creative Childcare is to provide a happy and welcoming environment for your children. About Blog Welcome to Penguin Childcare Early Education Centres. We offer childcare, day care and kindergarten programs through Victoria and Northern Queensland. For creative craft ideas for children, tips and tricks for childcare and info on the fun events happening at our centres, check out our blog! About Blog Happy Faces Daycare and Pre-school is a learning environment for your child. Our school is the beautifully restored Hardee Chambliss House which provides the perfect setting for nurturing and developing your child. Our daycare blog gives you tips, information and more - from Happy Faces child care in Chantilly, VA.
About Blog Ebenezer Child Care Centers is committed to providing a home-like atmosphere for the children we serve. That's why we call it, "Child Care from the Heart." We set the standard for superior child care by partnering with parents and the community to create a diverse, innovative, and nurturing environment that provide a foundation for learning. Hampshire, England About Blog News and information on childcare, babysitter and nanny services for Hampshire, Dorset, West Sussex and the Isle of Wight. Facebook fans 135. Twitter followers 208. Calgary, Alberta About Blog At Clever Daycare, the Early Childhood Education teams are dedicated professionals who are passionately committed to providing high quality childcare. We provide an education environment that is safe yet stimulating, and a play-based curriculum that challenges each child through creativity, self- choice, and learning through play. Facebook fans 105. Twitter followers 9. PA and NJ About Blog Just Children's mission is to enrich the lives of children who attend, allow parents to work worry free and to be a model for high quality of child care field. By providing affordable and quality care, we look to assist families of all income levels and backgrounds. Facebook fans 753. Twitter followers 492. About Blog At the Early Years Education Centre we strive to facilitate exceptional service and education to help families and their children achieve their goals. We offer Innovative daycare programs which allow children to explore and discover the joy of learning in a safe, caring and friendly environment. Facebook fans 2,993. Twitter followers n/a. Phoenix, AZ About Blog Valley Learning Centers is proud to provide Phoenix and surrounding areas with the best child care and early childhood education options in Arizona! We offer a beautiful, stimulating and safe environment that is family oriented and focused on providing the best possible care for your child. We have an open door policy and would love to meet you and give you a tour of our program! Facebook fans 259. Twitter followers 307. Palm Beach County, FL About Blog At Home Away From Home, were an early childhood learning center where you can monitor how your child is doing throughout the day for peace of mind. Facebook fans 1,694. Twitter followers 30. About Blog Cherry Bridge Station International Kindergarten & Early Education We are a unique global brand which recognizes the aspiring needs, support and sensitivities required for our children during those important early years of learning and education. Facebook fans 1,548. Twitter followers 441. Brookline, Ma About Blog Our nurturing environment promotes growth in all areas of a child's development: social, emotional, physical and cognitive. Our goal is to act as a caring extension of your child's home & family life. Facebook fans 197. Twitter followers 486. Pennsylvania, U.S.A. About Blog At Tender Years Child Development Centers, we understand that choosing a daycare & early education center for your child is one of the most important decisions that you will have to make as a parent. The right program can properly prepare them for success in both school and life. It’s a decision that can truly have a lasting impact. Facebook fans 728. Twitter followers 5. Northern Virginia About Blog Sparkles! Child Care Centers provide a safe learning environment while offering parents flexibility and peace of mind. Our roots in family home day care uniquely qualifies us to provide care that feels like an extension of the home with the added component of our educational curriculum. Facebook fans 528. Twitter followers 196. Bronx About Blog Tender Tots Child Care Center provides a quality and enjoyable pre-school experience for children aged 0-12. We accept all Government voucher programs. Your child can begin at Tender Tots Child Care Center as early as six weeks old, and continue on throughout the crucially important toddler and pre-school years. Our goal is to give every child that great headstart in life. Facebook fans 1,369. Twitter followers 153. About Blog The Brook Early Education and Care centre is a new era in child care which is aimed at providing the very best for children’s learning and development. Keep up to date with our latest news, events and community happenings on the Brook Early Education and Care blog. Brook is Gordon Park’s child care centre. Facebook fans 673. Twitter followers n/a. Surrey, BC, Canada About Blog ChildCare INTERNATIONAL is a Christian charitable organization. We are loyal to our mission of breaking the cycle of poverty one child at a time, through resourceful and education-based child sponsorship. Facebook fans 1,006. Twitter followers 624. Oconomowoc Lake, WI About Blog Consulting, business tools, blog, and resources for child care centers to become a more profitable business. Facebook fans 267. Twitter followers 96. About Blog Our childcare blog offers lots of useful information, top tips, guides & industry news for childminders & childcare professionals from Fish Childcare Insurance. Facebook fans 2,211. Twitter followers 298. About Blog Featuring early learning resources for preschool teachers, child care providers, homeschool families, early childhood teachers, parents, head start teachers and kindergarten teachers. I provide preschool and toddler activities for circle time, fine motor skills, scissor skills, learning letters and numbers, writing skills, crafts, iPad app reviews, free printables & so much more. About Blog Little Lights is committed to provide a safe and loving environment where children will experience opportunities to grown and develop. These opportunities will stem from teacher and child initiated instruction, enriching hands-on experiences, and strong Bible related lessons and devotions that share God's love for each child. Facebook fans 783. Twitter followers n/a. About Blog Crawford Childcare is a custom built childcare & montessori facility with a large outdoor play area. Facebook fans 522. Twitter followers n/a. About Blog Discover why Kiddie Kare A'Kademie is the best Kenosha, Pleasant Prairie daycare. Learn about our dedication to the care & education of your children. We are committed to providing the very best care and education possible. We understand that choosing the best preschool program for your child is one of the most important decisions you will have to make as a parent. Wandsworth, London About Blog At Charlotte & Louise we believe that every family and every child is unique. We are two childcare professionals with Norland training on a mission to bring high quality information to parents via our unique workshops and events. Equipping parents with the skills and knowledge to help face their parenting journey. Facebook fans 338. Twitter followers 79. South Ozone Park, Queens About Blog My name is Melissa. I am a mom of 3 and I am so honored to be a step mom to my husbands 3, so a total of 6. This is a lifestyle blog about travel, recipes, diy, crafts, daycare teachings, product reviews and dealing with everyday life of a busy mom. Facebook fans n/a. Twitter followers 55. Adelaide About Blog We are the leading providers of education and training in healthcare industry in Adelaide. Our learning child care courses are the solution! Offering you a flexible approach to learning, you can fit studying around your busy lifestyle. About Blog Stonewall's program, age two through six, encourages children to become enthusiastic about school and to take pride in their accomplishments. Our classrooms are inviting, child-centered places filled with hands-on activities that develop academic skills, problem-solving strategies, and concentration. About Blog Next Generation Childcare Co Ltd, daily diary. A snap shot of your child's day at the centre. We ask everyone who views this blog to respect the privacy of the children. About Blog With over 30 years of experience in providing nurturing child care to the greater Lombard community, we have the caring skills you can rely on to give your child a truly positive day care experience. About Blog First Class Child Development Center is not a day care facility, although care for children. Mission is to provide a high quality academic curriculum in a home-like atmosphere that stresses the nurturing and teaching of children. We strive to nurture not only the child, but also the family. Learning happens through as many senses as possible. About Blog Heritage﻿ Mountain Daycare is a community of caring and learning with a rich and stimulating environment. It is our mission to grow lifelong learners and confident caring individuals. Facebook fans 97. Twitter followers n/a. About Blog The Sundre Daycare Centre (SDC), provide a fun, safe, nurturing & stimulating environment with an enriched assortment of activities that help children grow into healthy, independent and unique individuals. Stouffville, ON About Blog Share & Care Child Care offers families in Stouffville, Uxbridge, Markham and beyond, a familiar, safe, warm environment for children to grow and develop. Our mission is to help stimulate curiosity and develop social awareness, creating happy, playful and thoughtful children in a safe and directed environment. Facebook fans 40. Twitter followers 9. Auckland, New Zealand About Blog Lightbulb Learning Childcare is a brand new centre offering care and education for children aged 3 months to 5 years old. It is well located next to Hamlin Hill Regional Park. The centre is designed to give each age group of children their own fantastic environment. Facebook fans 29. Twitter followers 5. About Blog At Inverloch Childcare we work in partnership with our community, our families and our employees to provide a sustainable, high quality early childhood education service where each child, their family and their cultural and social context is valued and respected. 70. Little Foxes Childcare/Preschool | A place for your child to grow! About Blog I have been offering quality childcare in my home for 17 years. I have realized this is what I enjoy doing in life. Children are special and my goal is to provide them with a stable foundation, give them love, and teach them as much as possible before they start school. Providing all of this can make a difference in their lives as they grow. Blog by Karri Fox. 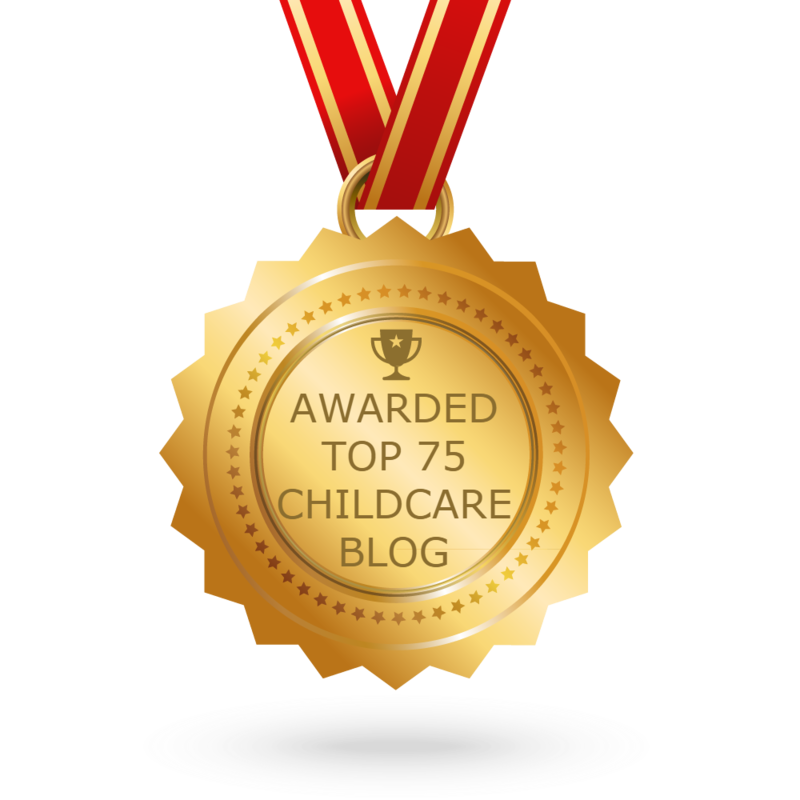 CONGRATULATIONS to every blogger that has made this Top Childcare Blogs list! This is the most comprehensive list of best Childcare blogs on the internet and I’m honoured to have you as part of this! I personally give you a high-five and want to thank you for your contribution to this world.